Have you ever made a bowl sing? 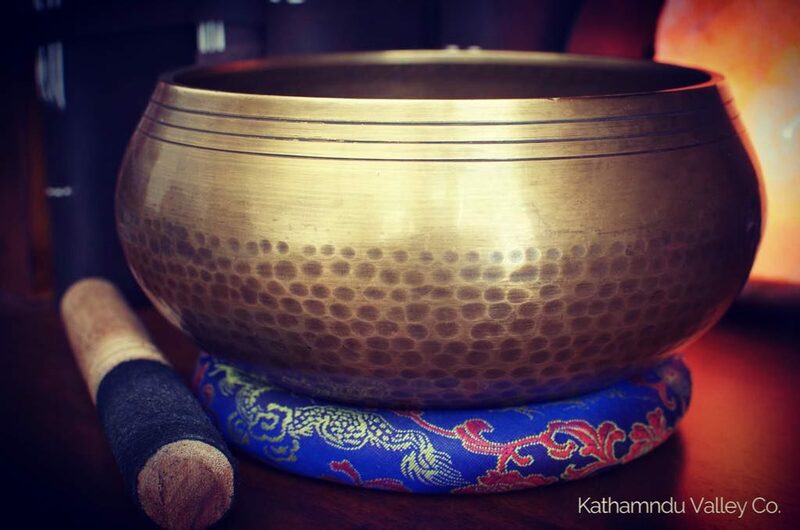 A Tibetan Singing Bowl, also called a Himalayan Bowl (most of them are made in Nepal), creates a rich tone when tapped with the mallet. But to make it sing…touch the felt portion of the mallet to the rim of the bowl, and then with a little pressure, circle around the bowl evenly. The bowl will in fact start to sing. Below is a video of a small singing bowl. Larger bowls will give a deeper sound when played. It may look easy to play a singing bowl, but you’d be surprised at the skill it takes to get the bowl to sing. Some mallets are all wood, while others have a felt or a leather wrap around one end. The wrap helps prevent the metallic skimming that sometimes occurs. The sound is not harsh when the mallet skims, however with a felt covered mallet, the sound produced is pure and without the tinning. Each bowl is unique, but after you learn how to play one, playing bowls of different sizes comes more naturally. Enjoy your meditation. Keep track of your thoughts with the Namaste journal. Perfect for after meditation to write down your thoughts.